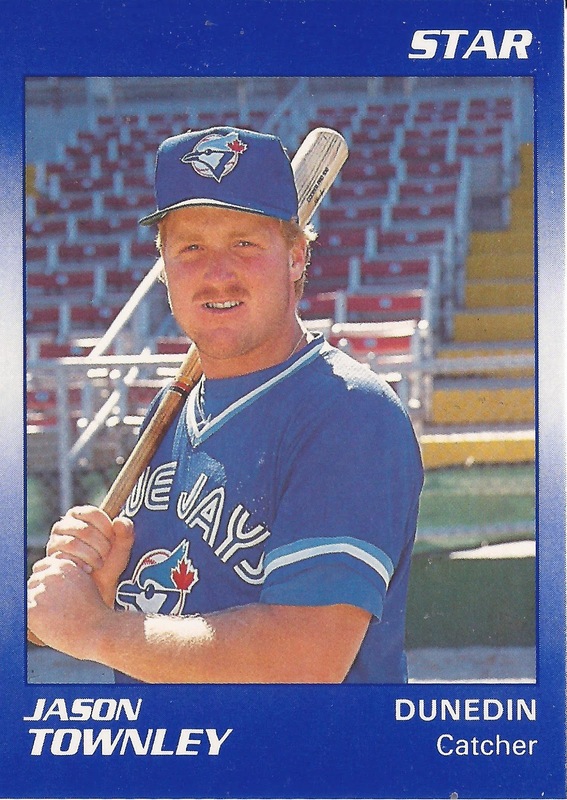 Jason Townley chose hitting over pitching as he came out of high school in 1987 to play for the Blue Jays, according to The St. Louis Post-Dispatch. By 1990, though, his hitting hadn't come around. But then came his season at high-A Dunedin and a .292 average as a catcher. "This year has turned around a lot of things," Townley told The Post-Dispatch. "I'm only 21, but I think Toronto was about to give up on me. I was even thinking about going back to pitching if this didn't work out." It ultimately worked out for Townley enough to see a decade in the pros and two seasons at AAA. It never worked out enough for him to make the majors. 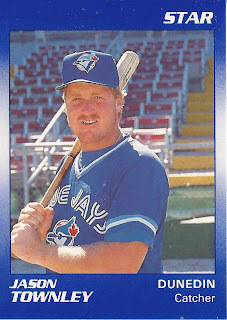 Townley's career began in 1987, taken by the Blue Jays in the seventh round of the draft out of Pensacola's Escambia High in Florida. At Escambia, Townley hit a home run at the plate in a March 1986 game and struck out 12 on the mound. He started with the Blue Jays at short-season St. Catharines. He hit .175 in 60 games, with six home runs. He returned there for 1988 and also got looks at single-A Myrtle Beach and Dunedin. He hit .231 in 71 total games. After an abbreviated 55 games at Dunedin in 1989, Townley returned to Dunedin for 1990 and made the league All-Star team while he split time behind the plate. Townley made AA Knoxville in 1991, but returned to a .197 average. He returned to Knoxville for 1992, then played just three games in 1993. He made AAA Syracuse in 1994 and 1995. He hit .273 and .261. Townley then finished out his career at independent Pine Bluff in 1996. He hit .362 in 68 games. Townley has since settled in Alabama, where he is listed in 2018 as an instructor in Pelham.